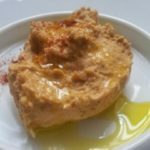 How to make humus: I had not made humus for many years and I had forgotten how much better it is compared with the humus you buy at the supermarket. It ‘s very easily done in a few minutes. This is our recipe for how to make humus, but we like to add different flavors to it from time to time. 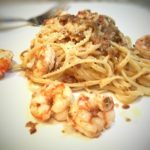 This recipe has turned out to be very popular at The Farm where we will be making it for you again very soon. NOTE: Not all the chickpeas are the same and some cheaper brands of canned chickpeas can be very dry. Using the juice from the jar can depend on which brand you have. It is recommended to blend the chickpeas without the juice and then add it as necessary to achieve your desired consistency. In a food processor add the chickpeas (without the juice), lemon juice, tahini, garlic, salt, cumin and paprika. Pulse the processor to make a puree of chickpeas or add more lemon juice if necessary. 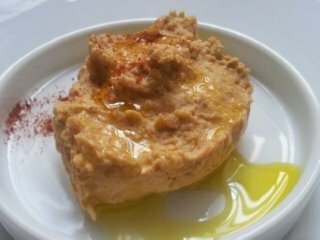 Place the hummus in an airtight container and cover with olive oil and serve immediately sprinkle with a little ‘of paprika and drizzle with olive oil. Serve as a dip with freshly cut vegetables, chips or pita bread.